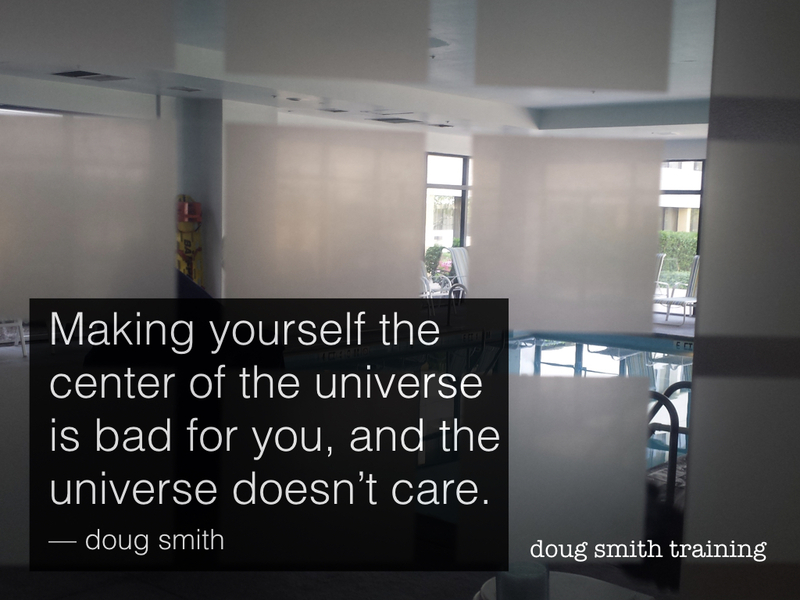 Making yourself the center of the universe is bad for you, and the universe doesn't care. It's bad for you because, ahem, you're not. I'm not. We don't even know WHERE the center of the universe is. I'm fairly sure it's not my town, my country, or even this world. That's that and that's that. The universe might have a sense of humor, but that's stretching a metaphor and anthropomorphism to the max. 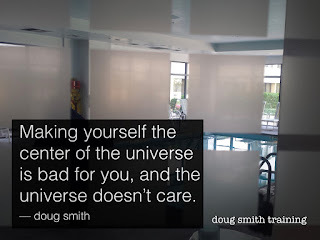 Stretch, yes -- but be careful of those metaphors. They have quite a recoil.